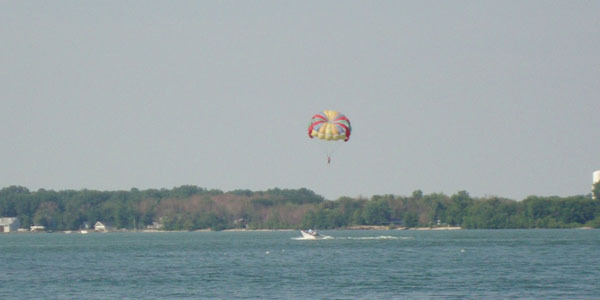 Parasailing is a spectacular way to see Put-in-Bay from a 600-foot towline. Taking off and landing on boats equipped with flight decks, you stay dry! Or, on especially hot days, you have the option of getting wet in Lake Erie if you choose. Parasailing is safe and fun for ages 3 and up. No experience or athletic ability required. Located one block from the Jet Express dock.